Thank God I'm not the only one that's wondered what would happen if you could ship a band back to the Stone Age. 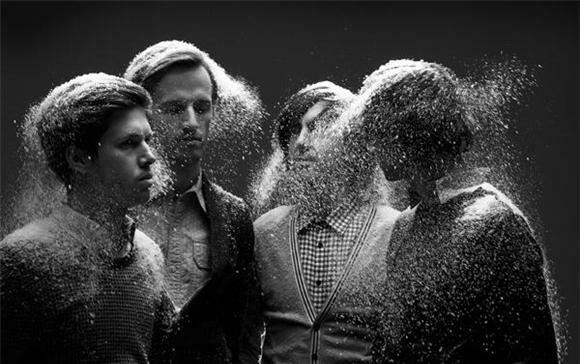 It would look something like Cut Copy's video for the aptly titled "Blink and You Could Miss a Revolution", like Planet of the Apes meets Rock Band. As the apes put together Cut Copy's lineup (complete with their severed singing heads), the song unfolds with a strong tribal backbeat, a killer tropical-infused xylophone riff, and shining hooks. Awesome tune, but be wary—these apes groove pretty hard. Off their third studio album, Zonoscope, out now.